Most people think pool covers are too much work, although they can protect a pool from the debris and debris during the pool season they do a lot more. Having a pool does take time and effort, but having an electric cover can save you all the hard work to keep the pool clean. However, getting a completely automatic retractable pool cover can seem expensive and unnecessary to many homeowners. Many owners don’t know the difference between an electric pool cover and a mechanical one. They want to know if it is an upsell pitch from the salesman or it is something they genuinely need. You should review the pool cover options for your swimming pool before you decide which cover you want to buy. So, let us tell you all you need to know about an automatic cover for your pool that will make your pool more enjoyable and help your finances. While most people think that electric pool covers will set them back by at least $20,000, in reality, you may have to spend as little as $2,500 depending on the size and shape of the pool. That is only a little more than the manual pool covers on the market. Some mid cost range automatic pool cover requires top-of-the-deck mounting cost between $8,000 and $10,000. Large pools require more material than smaller inground pools, and abstract shapes demand special frame arrangements. Therefore, it is always best to work with an experienced company to give you the estimate before preparing to plunge right into the installation. According to the Department of Energy, pool covers can significantly save on heating costs. It is possible to curtail the energy costs by at least 50% to 70% with the right cover size, positioning, and material. Some customers report that installing a pool cover has added approximately 10 to 15-degrees to their standard pool temperature. The traditional heavy vinyl works well in preserving heat. Thus, if you have a heat pump, it will help you cut your energy costs significantly. An electric pool cover can help you close up the pool instantly without worrying about setting the tracks or getting an extra helping hand to lay out the cover. Automatic covers can close the entire pool when you are not using it. They keep dirt, leaves and debris out of the pool. When you are not using the pool you can cover the pool with just by pressing on a button. You can set up the state-of-the-art pool cover almost on any existing pool using a pool blanket. Getting ready for a swimming party can take only one minute! Push the button and voila! The pool is available for everyone’s use. While it keeps the dirt out, it also keeps the chlorine in. Many homeowners badger themselves with regular pool water testing and topping off the water with a new batch of chemicals. With the right cover, you can skip on adding more chlorine in the water. According to reports, the automatic pool cover reduces the evaporation of water or the dissipation of chemicals from the pool is reduced as well. That keeps the chlorine levels more or less steady. It can also reduce the amount of algaecide you use to keep the pool water free of algae and other organic growth as the pool cover reduces or blocks out the sunlight to the pool. The new design and sturdy material of the automatic pool covers do not allow water to gather on top. That preserves the integrity of the cover and helps keep the pool clean. While rolling the cover back, there is no risk of splashing accumulated dirty water into the pool water. Its simple design and mechanism make it super easy and fuss-free. The modern automatic pool covers eliminate the necessity of pool cover pumps altogether. For most automatic pool covers they requite yearly maintenance, however some don’t. The ones that do will have a yearly commitment for servicing, but you will save on the replacement of the cover and parts in the long run. Ideally, homeowners need to replace their covers once in 5 to 10 years, depending upon the weather and natural conditions in your state. If your area is prone to frequent hail storms, you might have to think about replacement every five years. Since water does not accumulate on top of these pool covers, they enjoy a particularly long lifespan. Why do we go with automatic pool covers at all times? Maintaining the pool covers is not tricky if you have the right know-how. The pros of getting an automatic pool cover outweigh the cons any day. Many homes have pool blankets laying around for months or years. No one uses them due to the manual labor involved in the process of covering the pools. Upgrading to an automatic mechanism to reel the covers without installing visible tracks and reels can save you a lot of trouble involved in cleaning your pool every couple of months. 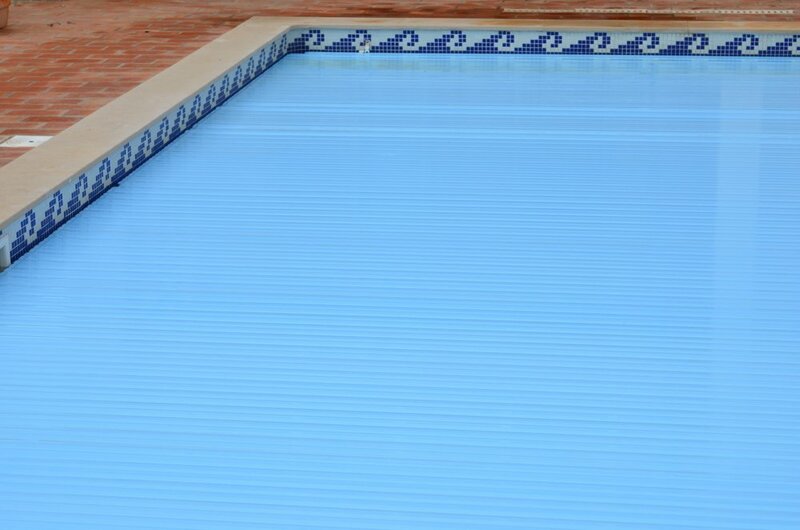 Moreover, the modern automatic pool covers are ideal for most pool shapes and sizes. You should speak to an expert before choosing the material and style of cover for your swimming pool. Aside from the ease of opening and closing, the low cost of installation is definitely a reason to consider the automatic covers over the manual ones you see on the pools in your neighborhood.